Hi Darren, can you please tell Punjab2000 readers a little bit about yourself? I am a father of five, bit of an idiot, Actor from Bermondsey, London, UK. I was a graphic designer / website designer for 20 years before quitting my job just over 2 years ago to be a full time actor. What inspired you to start a career in acting? I started acting at the age of 13 at my local theatre group. I’ve dreamed of being an actor ever since. Unfortunately, family commitments meant I couldn’t follow that dream until now. So 2 years ago, I quit my day job to follow my dreams and to be an actor. 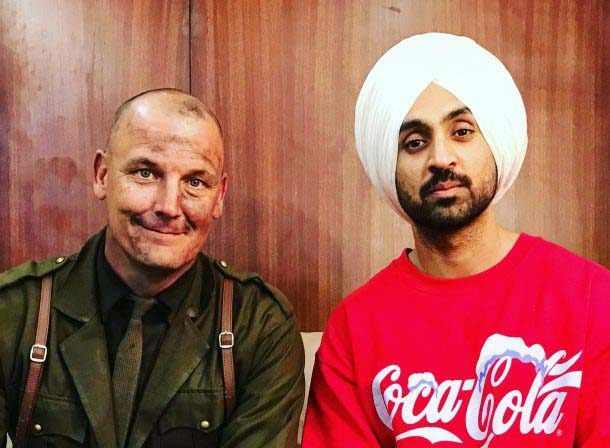 You played a British solider in Diljit Dosanjh movie called ‘Sajjan Singh Rangroot’ and you was also involved in Diljit’s music video ‘El Sueno’ playing a lead gangster. Briefly tell us about your experience working on a movie and a music video with Diljit? Ahh.. It was a total honour to work with Diljit. He is an incredibly talented artist and such a great, humble man. It was after filming Rangroot that Diljit asked me to appear in El Sueño. He also gave me VIP tickets to his wembley concert which was amazing! He is the ultimate, all round artist! I hope to work with him again in future. 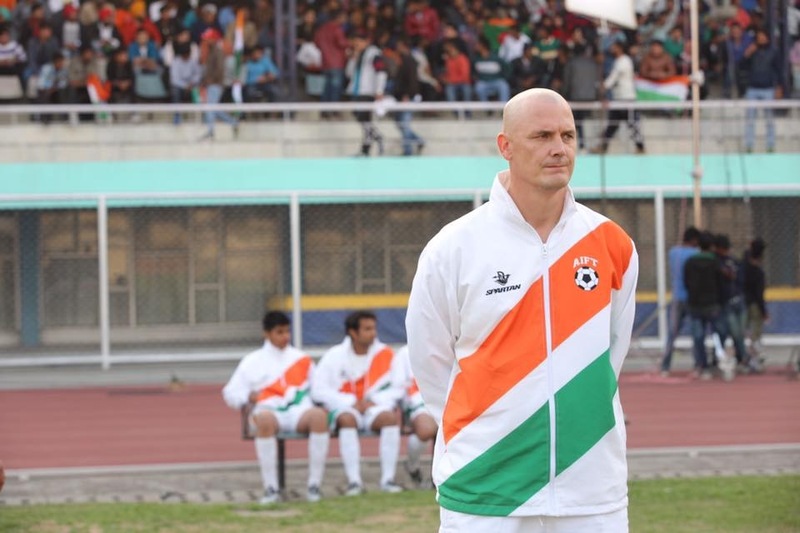 Two new movies are set to be released this year, Barefoot warriors and Sarabha – cry for freedom. What interested you, in acting in those two movies? My journey with Rangroot opened up my eyes and heart to Punjabi culture and I fell in love with it. I have many Punjabi brothers and sisters now and I am a much better person for it. So the chance to work with legend Kavi Raz was offered to me and I jumped at the chance. I have now made 2 movies with Kavi which are due to be released this year. I hope I have the opportunity to do many more Punjabi films. Were the roles challenging in barefoot warriors and Sarabha? Sarabha was more challenging than Barefoot Warriors due to the historical importance of the story and the fact I had to speak Hindi in some of the scenes. But I’m a confident guy, I love challenging myself. Most of the time, I was only given the lines 10 mins before filming as the script kept changing. But I enjoy fluid scripts and love putting my own stamp onto my characters. You worked a lot in Punjab/India, can you understand Punjabi or Hindi? he is saying without him having to translate. Have you been given any advice or support by directors and well-known actors\actresses? 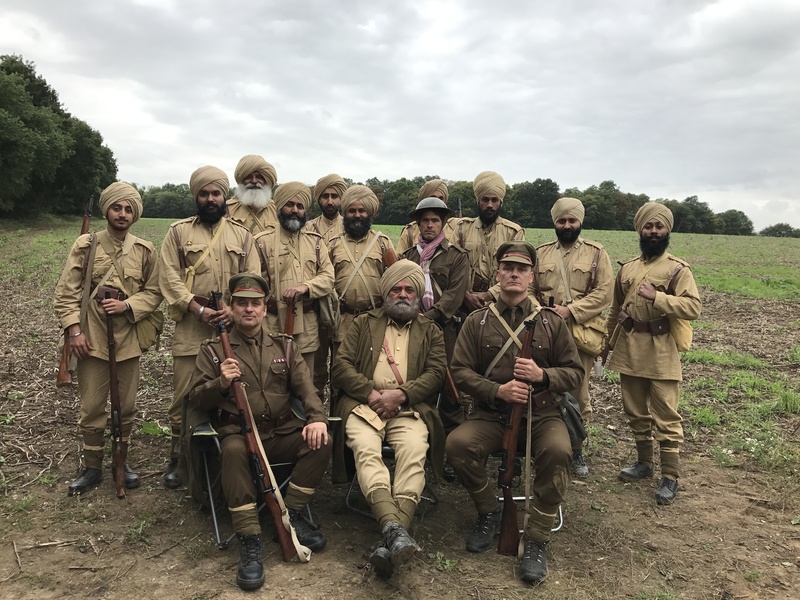 During my time on Rangroot, I spent so much time speaking with Yograj Singh, we formed a wonderful bond. Just watching him at work was a wonderful lesson itself. He is a very experienced and incredibly talented actor, and a great great man. He gave me lots of advice which I carry with me to this day. I love Yogi. We still chat almost every week. Kavi Raz also gives me lots of advice. He has been in the game a long long time so his experience and advice is amazing! We have little chats before I go on set and he always seems happy with what he gets. I love working with Kavi, he is a great Director and a beautiful human being. What do you think has been your greatest accomplishment as an actor so far? In terms of accomplishment, I’d say it was my first role after quitting my job. A month after quitting my day job, I auditioned for the Actimel Christmas Commercial. Through a series of auditions, I beat 1200 people to land the role. It gave me so much self belief, I knew I had made the right decision to be an actor! What future roles would you like to see yourself playing? I always dreamed of being a cowboy! I used to practice being the fastest on the draw and spinning the gun back into my holster. I’d love to do a western! Or an action film in space! Maybe be a StarTrek villain. I’m also such an idiot and a clown.. I’d love to play something totally off the wall like Cat in the Hat, or a whacky kids movie villain. Where can our readers find you on social media and what can we expect from you in the future? I enjoy engaging with people on social media, I try to respond to all messages from fans too. I do seem to get quite a lot. But I like to show the silly side of me too, the normal, silly, family man I am. I do have a few movies being lined up and have 2 due to hit worldwide cinemas this year. I have also just launched a business with my partner Eddie Webber called www.reeltime.tv It’s an online service for actors, artists, musicians, authors etc. We have created a concept called an eShowcard where every bit of information about you is displayed on 1 dynamic page with a unique link. We have some big names up there from Bollywood, Hollywood and herein the UK (Brollywood) Everyone seems to love the idea and it seems to be growing quickly. So please send us your blessings! !